While analysts and pundits pick over Nortel's future after it filed for bankruptcy protection on Wednesday, customers and channel partners are largely standing by their investments. Merseyside-based Intrinsic Technology, which did around $10m worth of Nortel business last year and had hoped to double that figure in 2009, was one of several partners taking an optimistic viewpoint. Managing director Allan Gauld said that administration could be good for Nortel: "It offsets its debts for the time being, and it can use the cash it has in the bank to restructure." "I am convinced that the enterprise business will remain at the very least," Gauld continued. "It needs to remain because its footprint is hundreds of thousands of users in the UK alone." It should not be forgotten that Nortel was a powerful force in the comms industry with a pedigree dating back to the days of the first telephone systems, and as such built up a huge reservoir of customers and engendered fierce loyalty over the years. Although there will undoubtedly be some mileage for rival vendors in punting their kit to panicking customers, Gauld said that in fact, conversations he was having with Nortel users suggested most of them were keen to sweat their investments. Andrew Sheppard, head of Nortel distributor Azlan UK, voiced similar views, saying that that while some would be put off by Nortel's troubles, its enormous installed base guaranteed the business to some extent. "End-users looking at new projects will inevitably have questions and move to other vendors," Sheppard said. "However, customers with investments in Nortel will look to secure the investments they've made." It is still unclear what fate awaits Nortel's various units. Parts of it have been for sale since last autumn but attracted little interest owing to the difficulty of securing credit in the current economic climate. It is possible that private equity or the Canadian government may put together a rescue bid, but it seems more likely that the business will be sold piecemeal to other networking players. 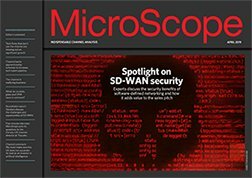 For more in-depth analysis of the future of Nortel and its channel, see future editions of MicroScope.